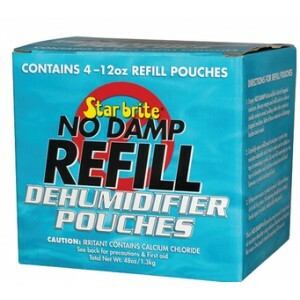 Starbrite's No Damp Dehumidifier is engineered to dry the air to a level where mildew can't survive. Helps stop mildew odors. Perfect for those tight spaces in your boat where keeping mildew out is a must!